Where do they keep their armies? A paper written by an ex-Apple intern who now works for the company has revealed secret plans to port Mac OS X to an ARM chipset. Tristan Schaap did a 12-week internship with the Platform Technologies Group at Apple, and penned a thesis on the work he had been set, namely working to get the "lower half" of Mac OS X to boot onto an ARM processor. The paper was submitted in 2010 but not published until some months ago due to the sensitive nature of its contents. But just because Schaap did work on this project and is now employed by the Core OS department doesn't mean we're definitely going to see ARM architecture in the next generation of Macs. It may have been an experiment, it could have been a decoy or the project may have once been planned and since been pulled, who knows. 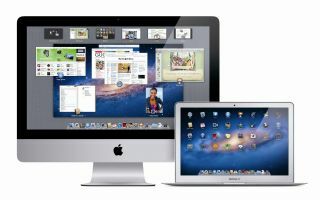 Apple's Mac range currently rocks Intel chipsets but rumours have been around for years that the company wants to try its hand at an ARM platform. But as Apple Insider points out, Tim Cook seems reticent to take those plans further, telling analysts last week that the iPad should satisfy those who would want such a thing as an ARM-based MacBook Air.